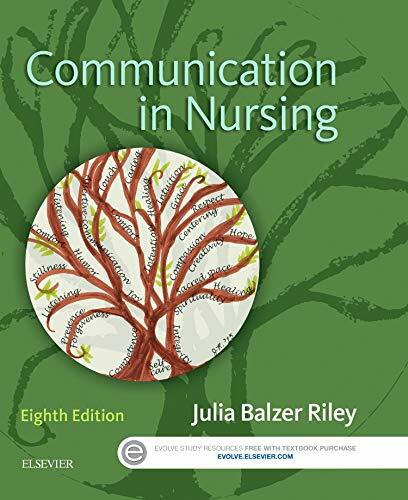 By Julia Balzer Riley, R. N.
Immerse yourself in the topic of communication in the workplace with an interesting conversation about the communication demands of todayâs nursing practice! Communication in Nursing, 8th Edition adopts a uniquely practical and personal approach, providing extensive examples, exercises, and techniques that help you understand important concepts and apply communication skills in a variety of clinical settings. With its conversational tone, this relatable text takes you beyond theory to show you how to use communication as a tool to limit stress in your nursing practice. A new Active Learning feature that promotes goal-directed reading, and additional QSEN exercises highlight the importance of assertive communication in promoting quality, safe care for clients â all in an easy-to-read magazine layout. ExercisesÂ throughout each chapter help you master chapter techniques and strengthen your communication skills. NEW! Addresses the importance of "presence" in nursing â being present for clients, families, colleagues, and self. About: Immerse yourself in the topic of communication in the workplace with an interesting conversation about the communication demands of today’s nursing practice!